This piece is a reflection from Jay Thorson, pastor of Capitol Drive Lutheran Church in Milwaukee, Wis.
As a pastor, there is one moment at the annual synod assembly that never fails to stir my heart: the recognition of ordination anniversaries. As a young pastor, I looked forward to one day standing among these men and women who had “finished the course and kept the faith.” But when it came time for me to walk up with the 25-year veterans, my name wasn’t called. I’d resigned from the ELCA roster the year before, choosing to stay with my congregation as it left the ELCA for Lutheran Congregations in Mission for Christ (LCMC). At that time, I assumed this was final. I couldn’t imagine that the ELCA would let me return. But seven years later, they have. This is a bit of my story. For 10 years, I served a suburban congregation that was much more traditional in its beliefs than most others in the Greater Milwaukee Synod. Although I wasn’t as conservative as my congregation, we found we could work well together and God blessed us with growth. But eventually continued affiliation with the ELCA became deeply problematic for many of the members, especially the lay leaders. As we debated this issue, I had one overriding leadership goal: Keep the congregation united and focused on Christ’s mission. After a long study process, we concluded that becoming an independent Lutheran congregation would prevent a destructive split and preserve our mission. Although I’d told the congregation that I personally didn’t need to leave, when it came time for a vote, I chose to stay with them. My conscience told me that leaving in the midst of so much transition (including a building program and many new members) would’ve been an irresponsible abandonment of my call. And indeed, the congregation stayed together and continued to grow. I enjoyed some of the fruits that only come with a long pastorate, especially seeing people whom I’d led to Christ become mature disciples. But I felt homeless, like I’d lost my family. In the coming years, I worked to maintain ties to the ELCA. At my urging, the congregation maintained its three ELCA ministry partnerships. I continued to study with nearby ELCA pastors, but I increasingly missed being part of a real ministerium: a team of pastors who shared the unique challenges of parish ministry. I found myself missing the Greater Milwaukee Synod’s commitment to fighting racism and working for justice for the poor. One needs a community of diverse congregations challenging and supporting one another in order to do this kind of kingdom work. And my relationship with the congregation changed. Since the congregation now had ultimate authority over me instead of an oversight shared with a synod, it became more difficult to effectively challenge them. Then two events happened that turned the light on and motivated me to come back to the ELCA. My wife began a job at a free medical clinic working with many ELCA members. These folks had a joyous heart for the poor, and I was jealous. I wanted to work with people like them! Then a study trip to Israel re-awakened my former passion for critical engagement with the Scriptures. I was reclaiming the view that the Bible isn’t an inerrant oracle dropped from heaven but more like a messy, earthen vessel holding the treasure of the saving gospel message. That’s what most ELCA professors and pastors teach, and I realized that was where I belonged. 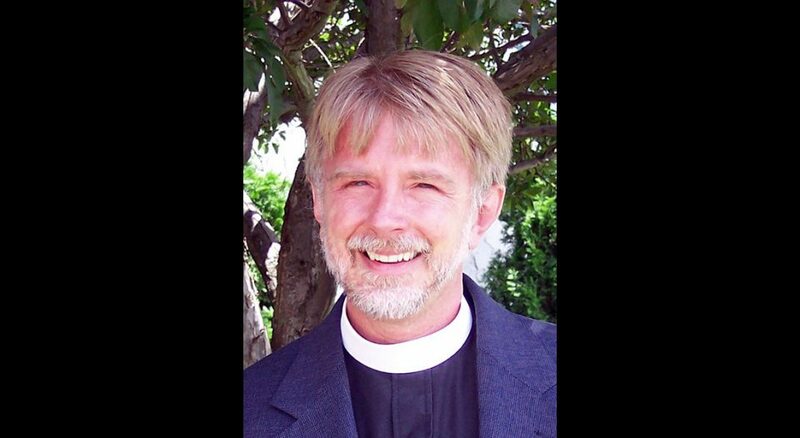 Encouraged by several ELCA clergy friends, I began the long process of reinstatement. This involves many of the same things a seminarian does—applications, essays and psychological tests. The Greater Milwaukee Synod bishop, staff and candidacy committee were very supportive and helpful, especially arranging a transition assignment that has allowed me to serve an ELCA parish so I can serve as a pastor while fulfilling the requirement of being an ELCA member for one year. Being back has been a joy. It’s been great to reconnect with so many friends from my early days in the Greater Milwaukee Synod, as well as build friendships with many fine new pastors and be enriched by their fresh insights. It’s been an encouragement to be among people who are committed to God’s ministry of reconciliation. Now, after an 18-month journey, I’ve been approved and will be restored to the roster upon receipt of a regular call. I’m grateful for the chance to finish in the church that ordained me. And I’m looking forward to the 2028 Greater Milwaukee Synod Assembly. When they recognize the pastors celebrating their 40th anniversary of ordination, I hope to be there and hear my name.